Was May The Best for Condo Sales on Seattle’s Eastside in the Last 5 Years? Even fewer condos were on the market in May on Seattle eastside and sales were still strong. There were 6 fewer sales, but because there were fewer condos for sale, a slightly higher percentage sold. Slightly over 44% of the available condos sold in May, which could very well be the best odds of selling a condo in the last 5 years on Seattle’s eastside! We expect this positive market to continue in Bellevue, Kirkland, Redmond, and the other cities east of Seattle. But if many more condos come up on the market, then the odds of selling may dip slightly. It is that old law of supply and demand. It’s a great time not only to sell a condo, but to buy one, as the prices have not been this low since early in the last decade. But be careful out there. Just because something is a fabulous price doesn’t mean it really is a great deal or a great place to live. Buying a condo also means you’re buying into an association. It’s important to check the association rules, regulations and financial statements. Last month my post about the condo market listed a number of questions sellers should ask before selling. Many of these same questions should be asked by a buyer when planning to purchase a condominium. When you find a condo you like, you can make an offer because one of the conditions of all offers is for you, as the buyer, to have time to review all this information. Condo buyers receive a copy of a “resale certificate as a condition of the offer. This document has tons of information about the condo and the association, but that’s for another blog post! How Do You Compete With Multiple Offers? Multiple offers for a home in the Seattle area? Yes! You heard me correctly, there are multiple offers happening all over the eastside suburbs of Bellevue, Kirkland, Redmond and Sammamish. The real estate market is going hot and heavy right now. If you’ve followed my posts regarding the Seattle-Eastside real estate market, you’ll know that just about 50% of all the homes in the eastside communities of Bellevue, Redmond, and Kirkland sold last month. It’s not unusual for 2, 3, or 4 offers to happen all at once when a good home comes on the market. I even heard of one home in Bellevue with a drop dead gorgeous view that had 26 offers on it! I happened to know who the winning buyer was and was able to ask how they were the chosen ones. I will share that with you later in this post. How do you get the house if your offer is one among many offers? Other than selling your first born, there are some things you can do. Write a very, clean, straightforward offer. Don’t ask for any extras. Don’t use unusual time frames. Put down a good, solid amount of earnest money. There’s no set amount, but show you are serious by putting down 2-3% of the offer price as your earnest money amount. If you’re worried about this, then ask your Realtor to explain the ways you could lose your earnest money in a transaction and also how you can legally get it back because of the contingencies in an offer. Include a copy of a pre-approval letter from your lender. Find out the seller’s hot buttons. Do they want the fridge, washer, dryer or would it be more convenient for them to leave these appliances? Use short timelines for contingencies. Once you determine the time frames that work for the seller, use those and incorporate short dates for any contingencies. Know how quickly your lender can close your loan for any home before you make an offer, so you can use the shortest date possible time frame for financing. The same thing should apply to the inspection time frame. Shorten the time frame from the boiler plate time of 10 days to 5 or less. You can easily find an inspector in a short period of time which should make it possible to do an inspection in a matter of days. Pre-inspect the home before you make the offer. This may sound radical, but when the market was booming 5 years ago, buyers in Seattle routinely did this before writing an offer for a home. You would need the seller’s permission to do this, but it might make the difference between winning or losing the home. Usually an inspection happens within the first week-10 days after the sale and then negotiations for repairs begin. If you and the seller don’t agree on what will be repaired, you can back out of the sale. as long as you and your Realtor follow he time frames and guidelines of the contract. Imagine the power of coming to the table with an offer in which there’s no inspection. It’s no longer a concern for the seller. It’s not a concern for you, because you’ve already done your inspection. It gives you a lot of power as a buyer. You’ve had the opportunity to determine whether the house is a well-built home…or not. In this scenario, if the house has a lot of problems, you may not want to make the offer to start. By pre-inspecting a home, you’ll know before you get involved in all the emotional ups and downs that accompany a multiple offer situation whether you truly want the home. There is a chance you could do an inspection, make a great offer, and still not get the house. But it may be better to lose the money on the inspection than lose a home you really want. By the way, the buyers who got the house out of the 20+ offers paid a much higher price, had a great earnest money, pre-approval letter, great dates, and …pre-inspected the home! There are other suggestions to strengthen an offer? What else can you suggest? Have You Been to Woodinville's Wine Country? I went to France this past weekend. Ok, I didn’t really, but last Saturday I imagined I was transported to France when I sat down with a glass of wine in my hand and looked out over the valley in Woodinville. It felt like spring was almost here in the Seattle area. Spring was almost here by the calendar, but the weather also supported that spring feeling. It was sunny and just plain beautiful. and DeLille Cellars. These two wine tasting rooms were hopping with people enjoying wine and enjoying the day. There are a lot of wineries to choose from in Woodinville. I counted over 60 listed on The Woodinville Wine Country site! Woodinville has become a magnet for locals and tourists alike who want to taste some of the great wine available in Washington State. Most of the wineries are located in and around the picturesque Sammamish River Valley. Locals come, tourists come, people rent limos and take group tours. It’s a fun thing to do around Seattle and you don’t even have to go to France! What’s your favorite winery in Woodinville? It’s time to accept the reality of the market in Seattle and on Seattle’s eastside. More than likely, it’s going to be the way it is for a few more years, with single digit appreciation after that. It’s a more realistic market. It doesn’t mean it’s bad. It’s still challenging to sell a home, but it’s not impossible. Homes are selling everyday. There have been many successful sales and there will continue to be successful real estate sales in 2011. On Seattle’s eastside, 7310 homes sold last year. Short sales and foreclosures will still happen. Which, unfortunately, means there will be people who are suffering through these tougher, more realistic times. But the majority of sales on the eastside are not short or distressed sales. If you are thinking of selling your home, it won’t happen overnight, but it can, and does, happen. 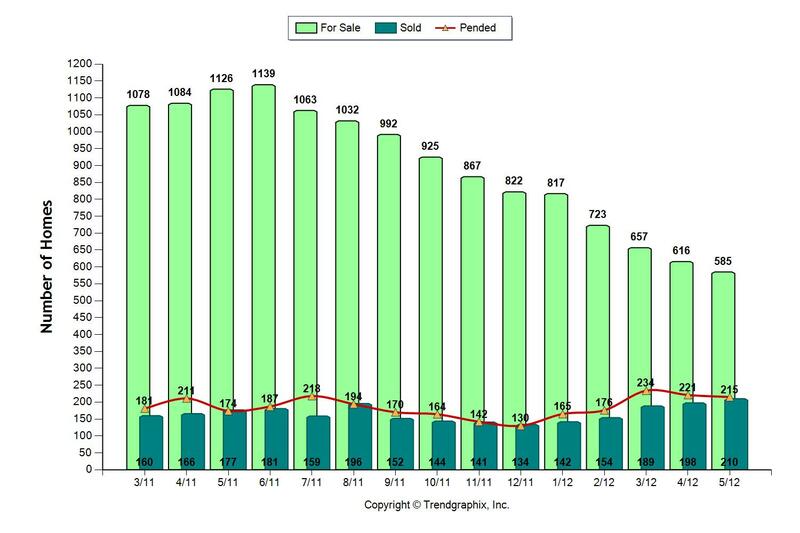 2010: 9,594 homes and condos were pending (received an offer from a buyer). There were 7310 firm sales. 2009: 8,842 homes were pending. 2008: 7419 homes were pending. Right now in the Seattle area real estate market, most homes are selling in 3-6 months. This is the now the “normal” market time to sell a home. Some homes will sell very quickly depending on the local competition and the price and condition of the home, others will languish and maybe never sell. This will be the typical pattern we’ll see in Seattle area real estate sales for the near future. Don’t put your home on the market unless you’re clear on the pricing, clear on what the market will bear. This is not a market where you can “try” a price and then come down. If you beat the competition to start, you’ll probably make more money in the long run. Too often, sellers have “tried” a higher price and ended up selling their home for far less. Is it moving, making a lifestyle change, or the money that’s more important to you right now? If it’s the move that’s more important because you need more space, downsizing, relocating, etc., then plan to move and do it right. Get your home gleaming and ready for the market with a value added sticker price. Your home will need to outshine the competition with a pristine look and a “beat the competition” price. If you price your home right where all your competition is, your home may not stand out. If more money than the current market will bear is more important, then maybe this isn’t the right time to sell. However, plan on staying put for 5 or even 7 years to realize some significant appreciation in your home’s value. But remember, if there’s only 3% appreciation over 5 years, that’s 15% more. Let’s say you have a home that is worth $500,000 in this market, in 5 years at 3% appreciation, it will be worth $515,000. A 5% increase is $25,000 to $525,000. The increase is nothing to sneeze at, but with 5-7 more years of wear and tear, there’s something that needs to be done with most every house. Any future appreciation should factor in some costs for maintenance and updating. For those buying, home ownership has gone back to what it always has been, shelter, a place to hang your hat that you enjoy. It’s a lifestyle choice, not a banking machine or something where you can make a “killing.” If you decide to buy, and some of you won’t, then evaluate your home for how it fits your lifestyle. Pick a place to live that matches your wallet and that you enjoy. Pick a place with good access to amenities: schools, shopping, parks, economic centers and easy access to commuting services. When you sell your home in the future, the home will be in a better position, literally and figuratively, to capture any appreciation. The homes located close to conveniences will become increasingly more desirable in this decade. The glass is “half full” in Seattle area real estate. The media will continue to talk about the “bad” real estate market, but the fact is, the people who need or want to move are still going forward with their plans. Home sellers will not see the appreciation of the past, but home buyers should be able to purchase a good value and a great home. Remember if you’re a seller who’ll be buying another home, you’ll have a great chance of making a great deal on your home purchase. It wasn’t “perfect’ for buyers back when we all thought the real estate market was great. Many of today’s sellers need to think back to when they bought their home. Buyers often competed for the same home with other buyers and paid full or over full price. Now it’s not perfect for sellers. Sellers have to be ready to meet the market. Buyers will be looking for the best value out there. That won’t change any time soon. This is our new “normal” market. This is the “State of Real Estate.” Our glass is “half full” rather than “half empty.” We’re still doing better than most areas here in the Seattle area. It’s hard to believe, the new year is here. It’s a time for reflection, a time for planning, and a time for partying. It’s a time to make those new year’s resolutions we all hope to keep. Most of all it’s time to have fun, appreciate what you do have: your friends, family, and health. This post highlighting some of Sir Richard Branson’s tips on life is a good way to end one year and start the next. Have you made your New Year’s resolutions yet? All the best in 2011! Bellevue, WA=Great Schools, But Is It Affordable? It’s ironic that the articles about schools linked below were recently published, as last week I met with a past client who raised this very issue. My last post commented on home values and school systems. My client bought his first home from me 5 years ago. It was a new home in a city with an excellent school system, but not the top school system on Seattle’s eastside. Now that his daughter is 5 years old, he’s looking at the different school systems even more closely. He’s done his homework and checked out such websites as Great Schools and Education. com. He’s read about the different school systems in the area and narrowed his choice down to the Bellevue, WA Schools. The Bellevue Schools have been honored in a variety of places. The high schools listed are in Newsweek’s Top 100 list and US News’ list. But is the Bellevue School district affordable? My client wanted to know. He had questions about what he could afford and find in Bellevue. He owns a 5 year old home with 2300+ square feet out in Sammamish. According to the article, Bellevue is not an affordable town. (Affordable is a relative term and each area will have a different affordability scale.) No matter where you live and what the affordability is of homes in your area, the rule of thumb is if a home is in a desirable school district, then it’s probably more expensive than a similar home in a less desirable district. But even in some expensive school districts, prices can vary. So what types of homes and prices can you find in Bellevue, WA? Here’s a snapshot of a typical week’s homes for sale during a week in July, 2010, which is representative of the housing available in Bellevue. In Bellevue, homes can be found ranging from the high $200’s to multi-million dollar homes. If you divide Bellevue into areas, it’s easier to see what you can get in each area of Bellevue. Bellevue is divided into three main areas, West, East, and South Bellevue. some of which are truly lot value with small, older homes. One home is a remodeled, most need to be remodeled and are small. Ranging from homes built in the mid 50’s to the 60’s with 1400-2000 square feet to larger homes with a huge variety of square footage. Most of the homes were built from 1950-to the end of the century. Newer homes in this price range are generally smaller. often with gracious appointments, lush grounds, views or waterfront. There’s an abundance of styles, ages, and square footage available. These homes are among the priciest homes in the area with a significant number of multimillion dollar homes. older ranch style homes with square footage usually around 1500 square feet. Some homes are bank owned, some in need of remodeling. You’ll find large ramblers, 2 story hoomes, and all other styles. the homes in East Bellevue in this price range are usually terrific homes. East Bellevue is the most affordable part of Bellevue to find a home. some with waterfront on Lake Sammamish, others are new construction. Under $300,000 4 homes One is a short sale, 1 is partially remodeled, and two are older smaller homes. Ranging from small rambler (ranch style) homes of 1000 square feet up to two story homes built in the 1960-1980’s with 2800 square feet. There are mid-entry and tri-level homes along with one and two story homes in this price range. Mid-entry and tri-level homes will be the most affordable and offer the most square footage for the money. If you want a home with some size and in good condition, you’ll be spending closer to $500,000. The lower end of this price range buys you a small home. Here you’ll find larger one level homes with 3 and 4 bedrooms. Two story homes built after 1980 with square footage ranging up to 3000+. You’ll also find large mid-entry and tri-level homes. Upscale neighborhoods with drop dead gorgeous views of Seattle, Bellevue, the mountains, and lakes abound with homes ranging from mid-century modern ramblers on large lots to all styles of homes with views and lots of square footage. Many of the homes were built after 1980. Homes can be found with substantial square footage, high end amenities, and excellent quality and finish work. The most affordable part of Bellevue is East Bellevue, although there are affordable houses all over. However, what you can get for your money is vastly different in each of these areas as you can see from the above. There are options, though, and everyone has to decide the value of the schools in relation to the type of home available. Are there great schools in other parts of the Seattle-Eastside? Yes, if you look at the lists above, other schools in Lake Washington School District, as an example pop up. Woodinville High School is another great school. These are not the only great schools. There are more out there on the eastside. Bellevue has some affordable housing, but some home buyers may want newer or larger homes for the money and may need to look at other Seattle-eastside cities. The beauty of the Seattle-eastside is there are great schools and some great housing all over. There are options.